Eventually, the Maljevac border crossing was reopened. 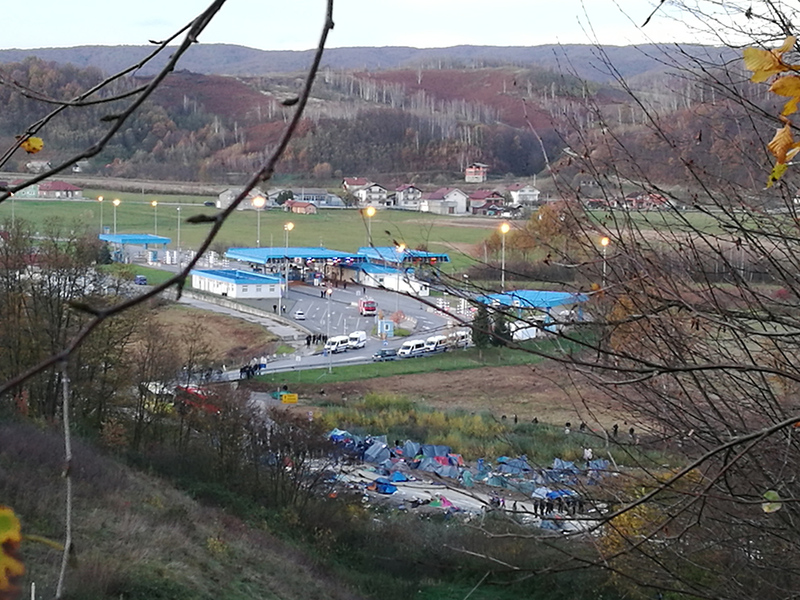 At about six pm on Tuesday, October 30th, the Bosnian police evacuated in a couple of hours the over 100 migrants who were still camping just a few metres from the Croatian-Bosnian border line. Dozens of inhabitants of Velika Kladuša, the Bosnian town close to the border, followed the operation from the top of a service station overlooking the pass. "We have nothing against refugees, but 200 people cannot block 50,000", says a Bosnian man in his fifties. Velika Kladuša, adds, "lives of the trade with Croatia" and "the border closed for a week is a huge damage for us all". Last October 24th, the attempt by several hundred migrants to break the cordon of the Croatian police to enter the European Union led to Zagreb's decision to stop the traffic in Maljevac – a damage to the local community. This week of tensions, with cameras everywhere in Maljevac and the ping-pong of responsibilities between levels in the complex Bosnian institutional system, has highlighted the unsustainability of what has been going on for months at the external borders of the European Union. A Far West in which migrants are moved from one border to another in sheer illegality, while Bosnians are left with the responsibility of controlling the migration flow towards Europe. The current confusion is summarised by the contradictory words of Professor Sej Ramić, city councilor in Bihać and administrator of the Facebook group "STOP invaziji migranata!! Udruženje gradjana Bihaća" ("STOP the invasion of migrants!! Association of citizens of Bihać"). In the capital of the Una-Sana canton (the border region with Croatia where Velika Kladuša is also located), Sej Ramić has taken the reins of popular discontent towards immigration. "I have nothing against refugees, but these are economic migrants, travelling without sisters, wives or mothers", assures Sej Ramić. "But we must not blame these people, it's not their fault if they're here. There are higher interests. We must ask: who is interested in seeing hundreds of migrants walking around Bihać? ", argues the town councilor. "Who? ", we ask. "I do not know", admits Ramić, before attacking Sarajevo and Brussels, both perhaps responsible. "Bosnia and Herzegovina has ten cantons and another entity, Republika Srpska. Why send all the migrants here? There are people in Sarajevo who do not like democracy in our canton", explains Sej Ramić. To the European Union, the Bosnian professor asks: "Is immigration in Bosnia the price to pay for membership?". "Perhaps – concludes Ramić – there is a broader plan: they want illegal migrants to take our place, while we all go to Germany". Reality gives different, albeit complex answers. Since the beginning of the year, Sarajevo has registered the entry of 21,000 people, mostly from Pakistan, Afghanistan, Iran, and even Syria. Today, the International Organization for Migration (IOM) estimates that there are about 5,000 migrants on Bosnian territory. The remaining 16,000 left the country, probably managing to cross the Croatian-Bosnian border. Nobody, or almost, wants to stay in Bosnia. The Una-Sana canton now finds itself at the centre of the "new" Balkan route, as the route from here is shorter to reach the Schengen area – just 80 km to Slovenia and then you can reach Italy or Austria in a short time. It is true, however, that communication between the different local bodies is so ineffective in Bosnia that very often there is no coordination between the cities of Velika Kladuša and Bihać, the canton of Una-Sana or the central government in Sarajevo. In this context, several demonstrations and petitions have recently been launched, asking the Bosnian authorities to solve the migration problem. These initiatives well represent the different souls coexisting within the local population: on the one hand the Facebook group that calls to "STOP the invasion of migrants", on the other hand those in Velika Kladuša and Bihać who help the refugees and the fact that the hostility towards migrants is not widespread. The best known case is that of Asim Latić, who runs the Teferić pizzeria in Velika Kladuša. Since February, Latić has offered refugees around 400 meals a day, counting on the support of the local population that helps him collect the necessary ingredients and funds. Even Latić, however, admits that "although the Bosnians have known the war, they are tired of this situation that has lasted several months". While Latić has trouble gathering the necessary sponsors to maintain his pizzeria turned humanitarian centre, many citizens of the Una-Sana canton have started to protest. The case of the Maljevac pass closed for days mobilised the traders of Velika Kladuša, authors of a petition that does not want to "be considered as a stigmatization of migrants", but calls for "respect for the rights of local citizens" and, obviously, "the reopening of the pass". A second petition, published in the above mentioned Facebook group, asks instead to relocate migrants away from Bihać, in order to "protect citizens" and "the safety of children". The IOM itself is targeted and invited to respect "the citizens of the Una-Sana canton" and "the laws of Bosnia and Herzegovina". Only few hundred people have signed this text, but even some volunteers who work in the reception centres in Bihać admit that "the presence of 5,000 migrants in a city of 60,000 people begins to create some problems". What role for Bosnia and Herzegovina? As often happens, the responsibility for the Bosnian situation is widespread and must be sought at different levels. For example, the IOM complains about "lack of political will" to better manage the migration problem in Bosnia and Herzegovina. "Everyone wants a well-controlled reception center, but nobody wants it on their own territory", notes Peter Van der Auweraert, IOM coordinator for the Western Balkans. Here, until the Maljevac incidents last week, the municipality of Velika Kladuša had always refused to host a centre within its jurisdiction. The result is that, since February 2018, a makeshift camp has arisen in the mud near the municipal dog shelter, and it is only thanks to humanitarian organisations that there was running water and chemical baths. Similarly, the government of the Una-Sana canton recently decided to stop all buses and trains coming from Sarajevo and send back to the capital the migrants travelling in them (although with regularly purchased tickets). Yet, to understand the origins of the chaos at the Croatian-Bosnian border, we need to take another step back. 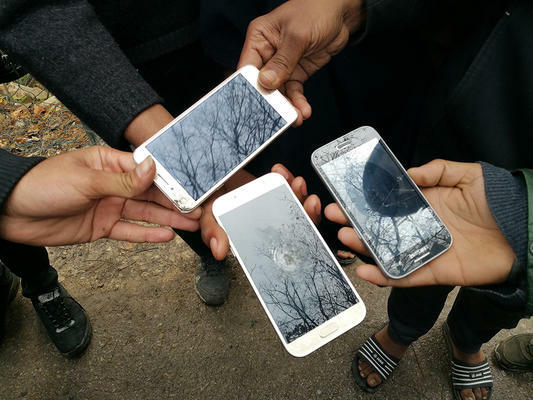 Most of the migrants stationed in the mud of the Velika Kladuša camp tell very similar stories, made of failed attempts to reach the European Union. Some broke an arm fleeing from the Croatian police "who had freed the dogs", some were pushed back the agents of three different states ("the Italian and Slovenian police simply stop and send us back, the Croats beat us"), some show broken cell phones and bruises and report thefts, again – they say – by the Croatian police. A recent report by La Stampa tells the same story , but on the other side of the border, in Trieste. The Italian police returns migrants to the Slovenian authorities, who in turn pass them over to their Croatian colleagues, who bring them back to Bosnia and Herzegovina. An international pass of the buck, all within the European Union and in complete illegality. Not only does this behaviour create hundreds, thousands of personal dramas, but it also affects the stability of Bosnia and Herzegovina, one of the poorest countries in the Balkans, tasked with interrupting the journey of those who dream of a new life in Europe. What will all this bring? Those who follow closely the situation in Bihać and Velika Kladuša talk about new possible deviations of the route (perhaps towards Knin, in Croatia), or more likely of a humanitarian crisis in Bosnia if the institutions will not be able to shelter all the migrants before the arrival of winter. The IOM itself notes that the current flow of "1,000 entries per week" could soon become problematic, faced with a capacity that will reach a maximum of 5,000 units (equal to the number of people already present in the country). One may smile at the image of the young Pakistani who decided to hoist the Bosnian flag on his tent in the camp of Velika Kladuša ("Bosnians are welcoming people", Aadi explains), but the risk is that, soon, benevolence will no longer be enough.